The Inflation of Martabak price in Bandung, has forced me to try and find alternatives for the once great San Francisco Martabak. Fortunately, Bandung as one of the major foodie paradise in Indonesia has not let me down. 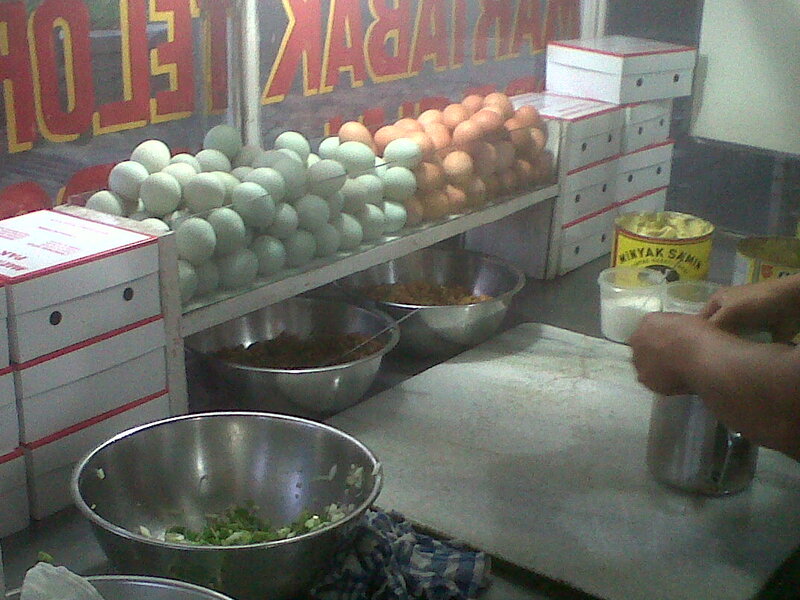 One of the many alternative is this vendor, Martabak pak Salim. Located in the pavement of Jl. Burangrang, which are known as one of the main foodie attraction in Bandung, this vendor has produce Martabak which are almost as good as the San Francisco does, but with lesser price. 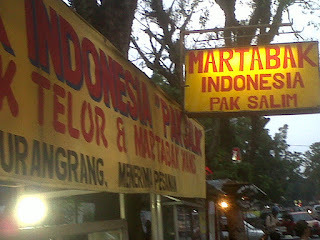 Martabak in Indonesia can be categorized into two major types: the sweet one, and the savory one. Almost all Martabak vendor that I know can create both of this dishes. The sweet one always reminds me of a heavyweight pancake, while the savory one is similar in taste like the Vietnamese spring roll. You won't missed the sign!